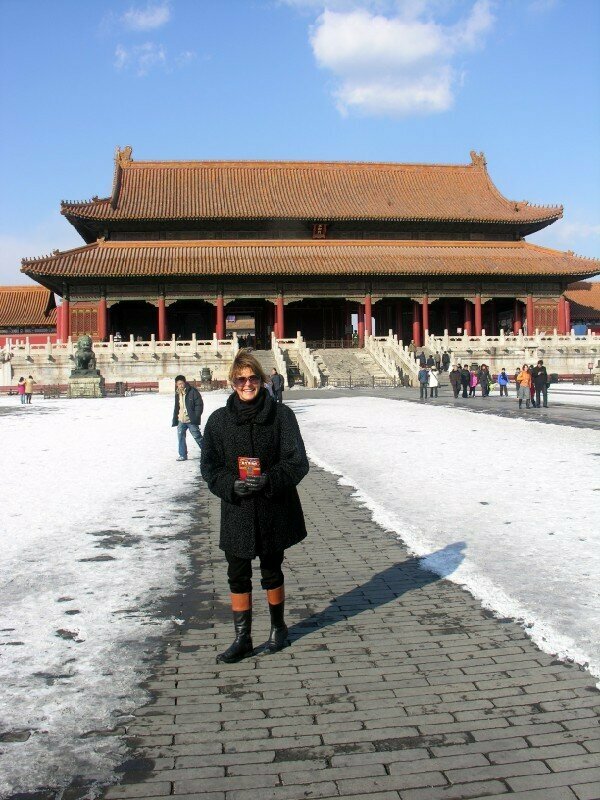 My mother got a great Christmas present this year: Tickets to go and visit me in Beijing. It was a good present for me too, because it’s not every day you get your mom visiting when you live on the other side of the globe. The pressure was definitely on though … what if she came down here and thought that China sucked? Mothers can be a bit unpredictable, but I decided to go for gold. 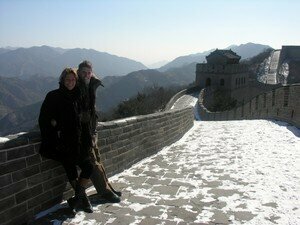 I naturally took her to the Great Wall on what must have been the coldest and most windswept day of the year. Though we went to Badaling the most touristed spot, there really wasn’t that many people there. Especially when we headed in the really steep direction where the wind was particularly fierce: Hey we’re Norwegians! There we got the Wall to ourselves, which was nice. 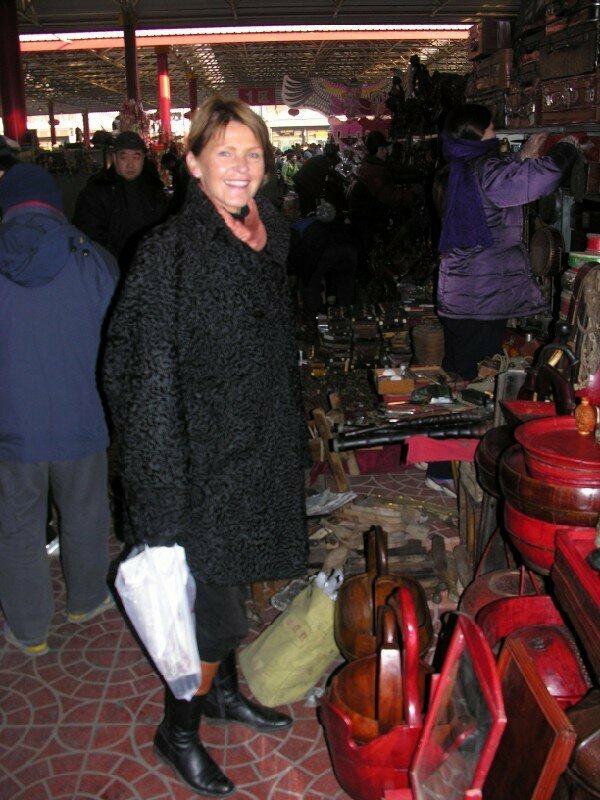 Besides the Wall we also went to the Lama temple … and did shopping … Ladies love the shopping in Beijing and my mother was no exception. She didn’t go home with all of Yashow, Silk Market or Panjiayuan, but she was close. 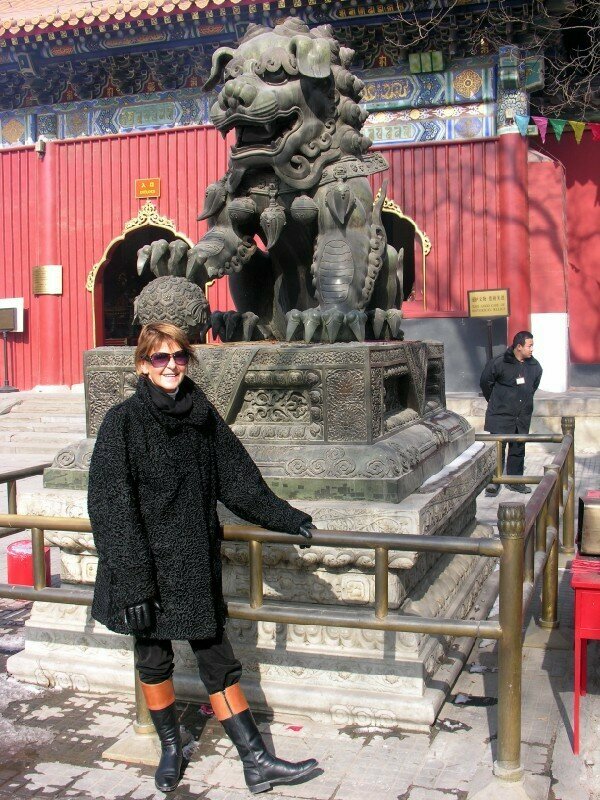 Besides shopping and sightseeing, we enjoyed some sensational Chinese food. I made it a point to only take her to Chinese restaurants … and not to the westernized ones. We ate in my normal Chinese haunts and it was great. My mother did struggle a bit with the chopsticks, but the food was great. 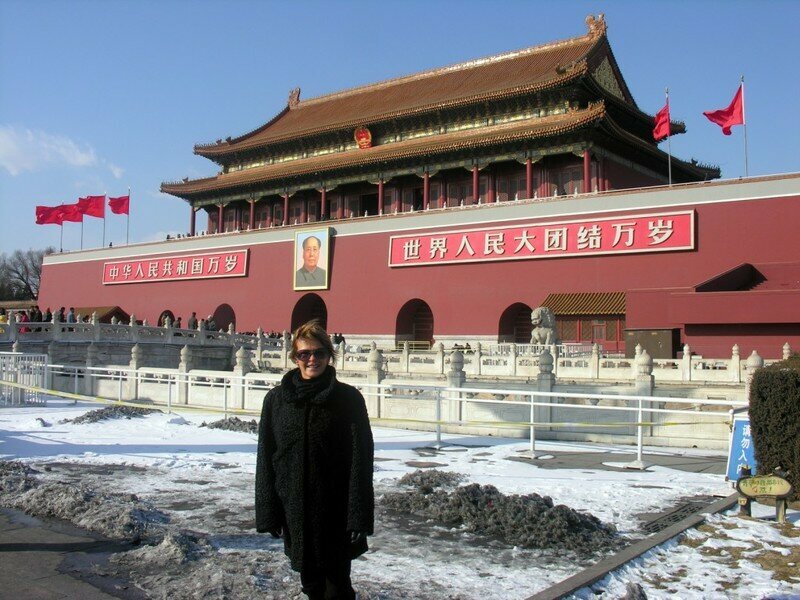 Last, but certainly not least, my mom is one of the few mothers that has signed the wall in Nanjie Bar. We went there on the Friday night and enjoyed a few Mojiitos. The entire visit was highly enjoyable and the only regret was that it passed too quickly.